Any modern discrete graphics card has its own frequency. Frequency has both the graphics adapter and its memory. The higher these numbers, the more powerful your graphics card. Also when overclocking the Board need to rely on the factory settings, memory frequency and CPU card and on this basis to deal with its acceleration. If you are owner of graphics card from ATI, it is likely that no additional programs you do not need. 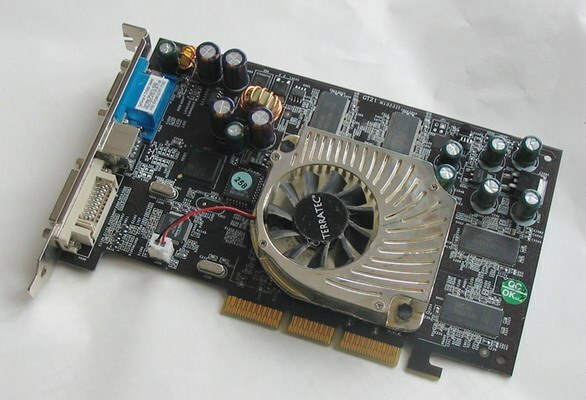 In the set of drivers for this graphics card includes the Catalyst control center. If you have not already installed, install it from the disk with the drivers. Also can download this software from the company website. You need to download one of the latest versions of the program. Run Catalyst control center. If you start the program first, then select "Advanced" and proceed further. Then in the main program menu click on the upper arrow and in the menu that appears after this click ATI Overdrive. A window will appear in which two strips, which will be to the right of the number. Indicator is on the right near the top strip is the frequency of the processor card. The indicator near the bottom strips is the frequency of the video memory of the graphics card. Also to know the frequency of operation of the video card using the program RivaTuner. This method is ideal for owners of graphics cards like ATI, and nVidia. The program RivaTuner can be easily found on the Internet. It is totally free, supported by Russian interface. Install the software on a hard disk of the computer. Run RivaTuner. Then click on the arrow that is next to "Configure". There will be several icons. When you hover over the icon the mouse cursor, there inscription. Select the icon labeled "Diagnostic report". A window will appear, which will be divided into two parts. In the bottom of the window slide to the bottom. Now find the line "core Frequency". The indicator, which will correspond to this line is the frequency of the processor. Below is the string "memory Frequency". Accordingly, the index in this string is the memory frequency that runs your graphics card. If necessary, click on the diskette that is located below, you can save the report in a text document.